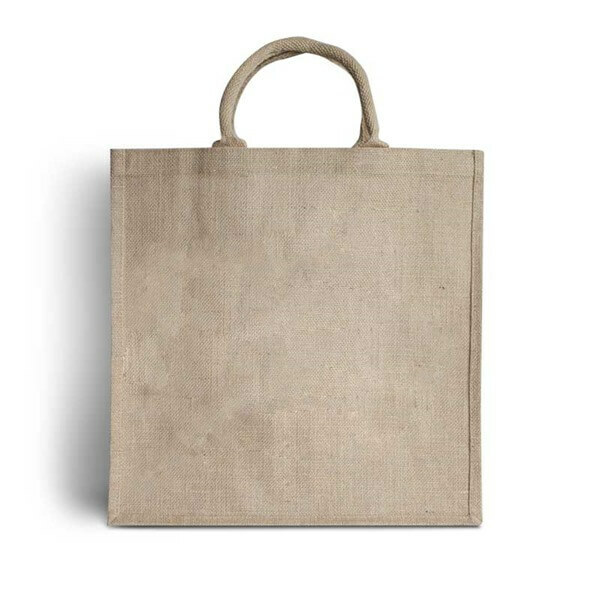 Do your bit for the environment with our new range of luxury Jute bags. 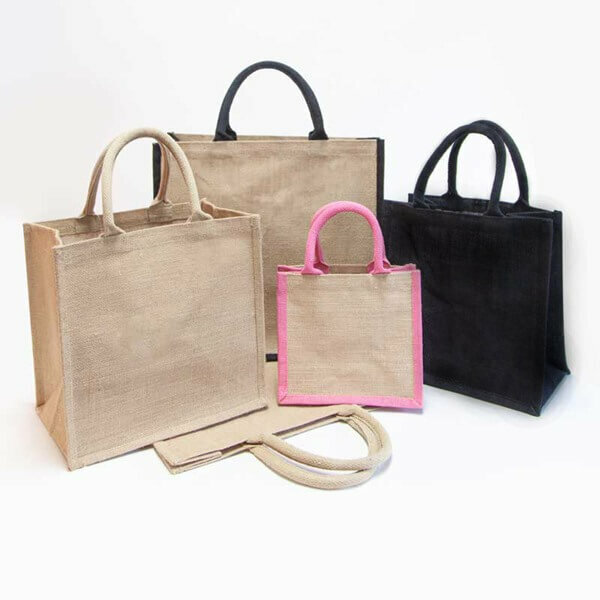 Sustainable and long lasting, our bags look great when printed with a company name or logo. These bags are of the highest quality and offer unbelievable value for money; they are not to be missed! 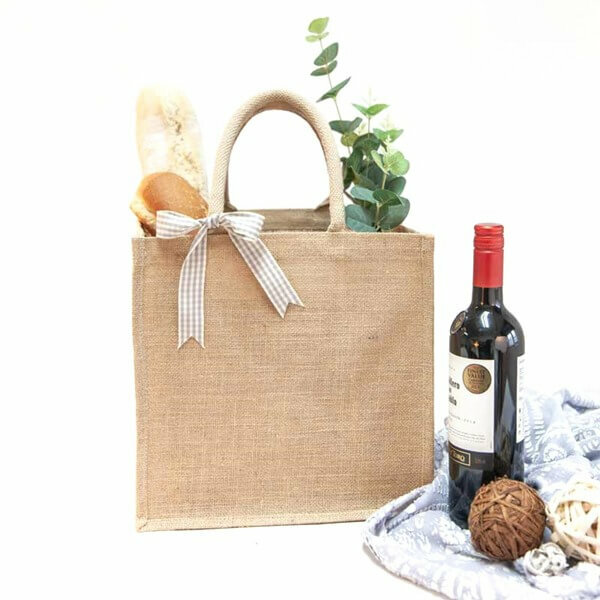 Our Jute is ethically sourced from ISO certified mills and is made from high quality Grade A Jute fabric complete with polypropylene lining which can be wiped clean. Strong, sturdy and practical these bags are built to last and can be used time and time again. Bags are capable of holding heavy weights; the luxury padded handles make carrying heavier items more comfortable. Want to check the quality of the bags? Simply purchase a sample! Picture is for illustrative purposes only.Please note that size is approximate. 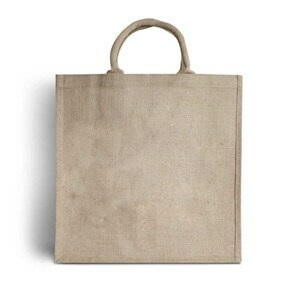 Ideal for use for campaigns and events, farm shops, delicatessens and grocery stores. Great for resale as a ‘bag for life’. 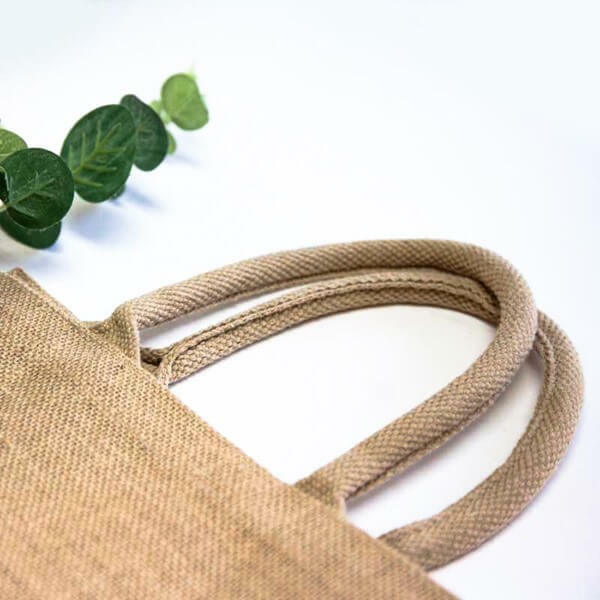 Our stock of Jute Carrier Bags are ethically sourced and are capable of holding heavy weights, we are able to overprint them with your chosen design. Simply fill in our Quote Request Form or Call Us on 020-3002-9960 and we will get you a free No Obligation Quotation.